Baby Food and Allergy Tracker. Give your baby a head start on healthy eating and avoid foods hazardous for your baby. When my son turned six months old and we started feeding him solids we kept a simple journal of each new food introduced. However, when he started having allergic reactions it was still very difficult to narrow down the cause. Even the doctor said it could be anything. 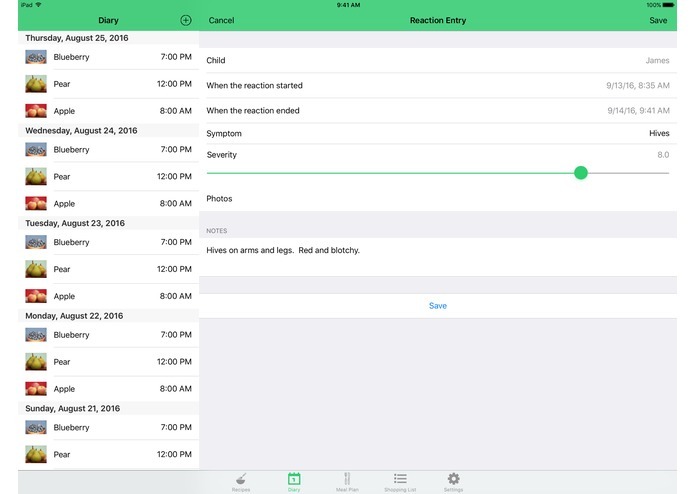 That was when I first started thinking of an App that would make it easier to log my baby's food, drink, and medicine intake. Starting Solids and Beyond provides a list of foods that are safe for your baby to eat depending on the baby's age. 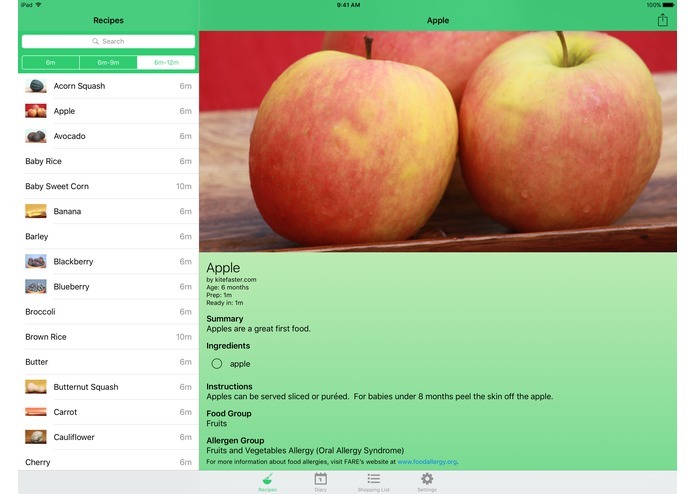 It also includes links to related food allergies depending on each food. 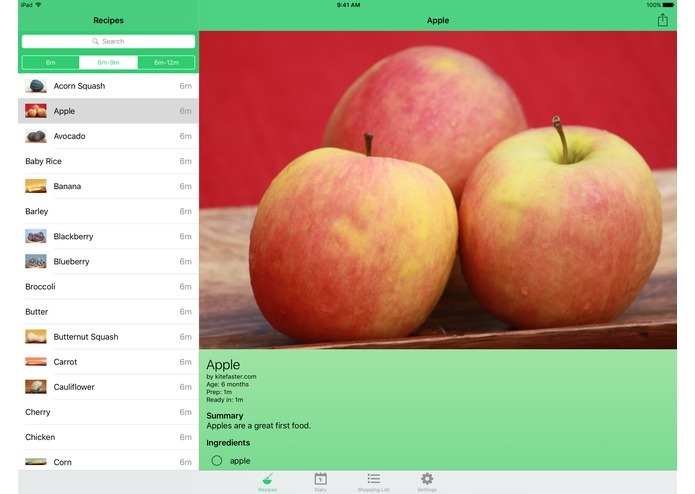 The App allows you to log what the baby eats and drinks. You can also log medicines taken and possible allergic reactions observed. 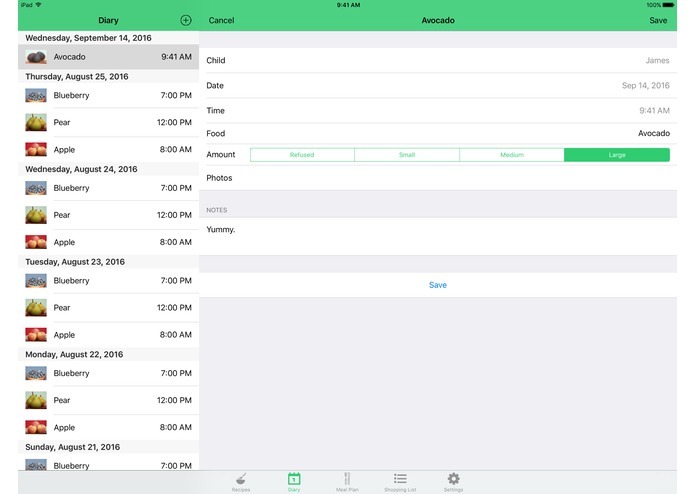 You can add multiple children profiles to the app and associate them with each food diary entry. The data in the app is backed up to Parse so that you can recover your data after uninstalling/reinstalling the app or switching to a new device. 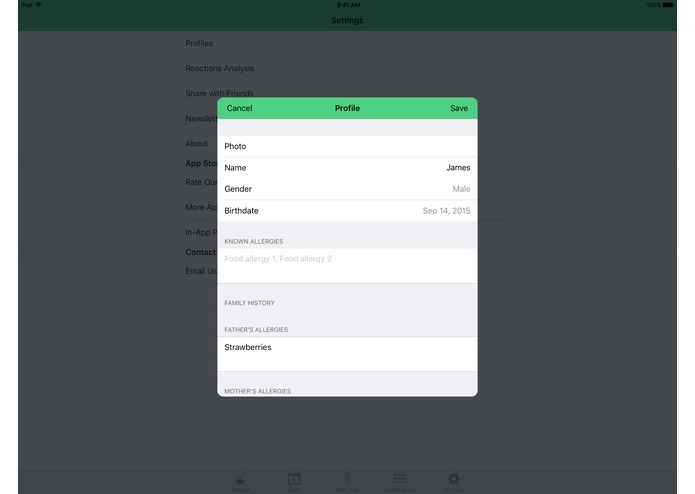 The app is built for iOS in Swift version 2. 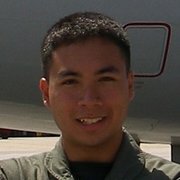 The backend is a Parse server with MongoDB hosted on OpenShift Online Dev Preview. The client uses several Pods such as the ChameleonFramework for color schemes, Eureka for forms and ParseUI for login/signup. Learning how to use OpenShift via the online user interface as well as via the command line took awhile. In addition, there weren't any docker containers for mBAAS that would work with the new version of OpenShift so I had to learn via trial and error how to host a Parse server and database on OpenShift. My wife and I went grocery shopping and took high res photos of all the fruits and vegetables featured in the app. I am proud of how well they came out. While the app is not yet fully complete I am proud with the number of features I did accomplish in such a short amount of time. Taking the time to research what open source software is available can save you development time in building something from scratch. However, using the open source tools may not be that easy and requires that you read the documentation, run sample programs, and be open to experimentation to get them working. Also, there may not be support for the latest technologies such as with Parse for OpenShift Online, so you'll have to break new ground and perform the integrations yourself. 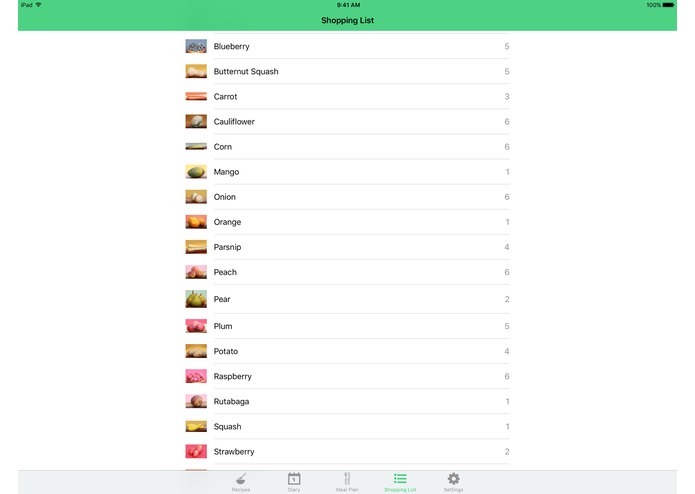 I hope to complete many new features such as the shopping list, favorites, ratings, comments, and syncing. I hope to release Starting Solids and Beyond to the public in the next few months.